Burbank, CA … In the music industry, there is no greater honor than the Grammy Award. The combination of compositional, performance, and engineering skills required to bring a Grammy nominated recording to life is enormous. Yet for Cuban-born composer and producer Yalil Guerra, a third Latin Grammy Award nomination, now in the Best Classical Contemporary Composition category represents another accomplishment in a long list of milestone achievements. Capturing all the fine nuances of a world-class recording takes skill and the right tools for the job. So when it comes to microphones, Guerra depends on Mojave Audio and Royer Labs. This year’s nominee composition String Quartet No. 2 was recorded by the La Catrina Quartet in April 2014 at RYCY Productions, Inc. in Burbank, CA. The recording also features Guerra’s String Quartet No. 1, A Mil Guerras Solo and works by other Latin-American contemporary composers. Guerra previously received a Latin Grammy Award in the category ‘Best Classical Contemporary Composition’ for Guerra’s Seducción. The album, Live in L.A., was released May 18th, 2012 by Guerra’s own label RYCY Productions, Inc.
For additional information about Yalil Guerra and RYCY Productions, Inc., visit him online at www.rycy.com, Twitter: @yalilguerra and www.yalilguerra.com. 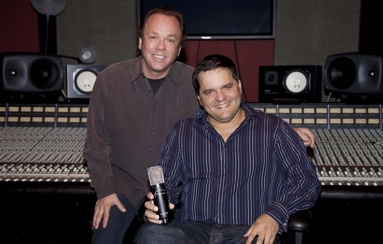 Located in Burbank, California, Mojave Audio is a manufacturer of quality microphones for the recording professional. For additional information on all Mojave Audio products, visit the company online at www.mojaveaudio.com.